The Eurovision Song Contest Reference Group is the executive Expert Committee for all Members, its purpose being to control and guide the Eurovision Song Contest. The Reference Group was established by the European Broadcasting Union’s Television Committee in 1998 and its main tasks are approving the development and future format of the Eurovision Song Contest, securing the financing, modernising the brand and raising awareness and overseeing the yearly preparation by the Host Broadcaster. The Reference Group meets four to five times each year on behalf of all Participating Broadcasters, and is required to take decisions in the general interest of the Eurovision Song Contest. The Reference Group is composed of a Chairman, three elected members of the Entertainment Experts Group of the EBU, two Executive Producers from previous host countries, as well as the Executive Producer of the current Host Broadcaster and the EBU Eurovision Song Contest Executive Supervisor. Dr. Frank-Dieter Freiling: Dr. Frank-Dieter Freiling from Germany is the Chairman of the Reference Group of the Eurovision Song Contest. He’s been in the field of media since 1987 when he started as a freelance journalist for the prestigious Frankfurter Allgemeine Zeitung. The last years he’s been involved with international relations in the German broadcaster ZDF, being the Director of International Affairs since 2000. ZDF is not a participating broadcaster of the Eurovision Song Contest in Germany (ARD/NDR is) but that was considered as an advantage to have a neutral Chairman when electing him in 2009. 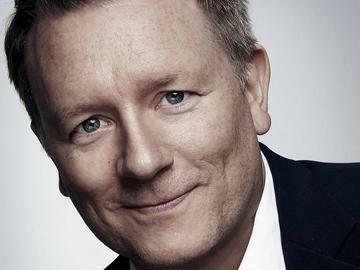 Jon Ola Sand: The Norwegian Jon Ola Sand is the Executive Supervisor of the Eurovision Song Contest. He has more than 15 years’ experience in major productions and co-productions at Norwegian public broadcaster NRK and TV2 Norway as well as independent production companies. He is also a member of the International Academy of Television Arts & Sciences, which hands out the EMMY Awards every year. He has produced or directed a variety of programmes, such as the Nobel Peace Prize Concert, the Norwegian Film Awards and the Norwegian national selection for the Eurovision Song Contest, Melodi Grand Prix. The Executive Supervisor of Europe’s favourite TV show has been Head of Delegation at the contest for Norway from 1998 to 2005. Since then, he has been commissioning editor at NRK. He was also the Executive Producer of the 2010 Eurovision Song Contest in Oslo. Sand leads the team of Project Managers who are dealing with other productions at the EBU Television Department as well. Pernille Gaardbo: Pernille Gaardbo is the Executive Producer of the 2014 Eurovision Song Contest at the Danish broadcaster DR.
Christer Björkman: Christer Björkman is one of Sweden’s foremost pop experts. He’s been a singer and represented Sweden in the 1992 Eurovision Song Contest. Björkman is the man behind the very successful Swedish Melodifestivalen, their national selection for Europe’s favourite TV-show. He’s also a TV-presenter and was the Show Producer of the 2013 Eurovision Song Contest. Martin Österdahl: Martin Österdahl was the Executive Producer of the 2013 Eurovision Song Contest and works at the Swedish broadcaster SVT. Aleksander Radič: Aleksander Radic has been involved with the Eurovision Song Contest for many years in the Slovenian delegation. He works at the Slovenian EBU Member RTVSLO. Thomas Schreiber: Thomas Schreiber was the Executive Producer of the 2011 Eurovision Song Contest in Düsseldorf. Back then he was responsible for the TV-production side of the Contest. Nicola Caligiore: Nicola Caligiore from the Italian broadcaster RAI has been involved with their delegation since their return in 2010. He is also one of the people who helped to bring Italy back to the Eurovision Song Contest.